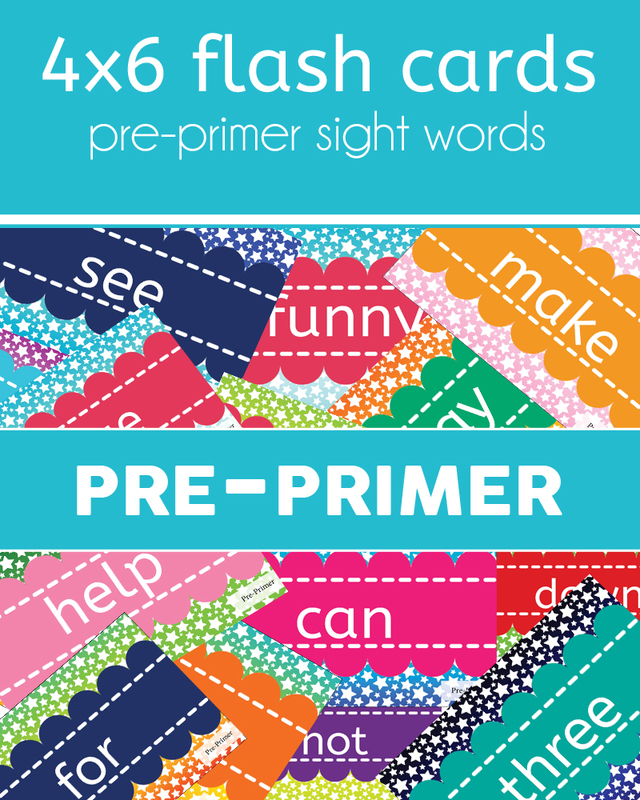 These Pre-primer Sight Words, flashcards might not be the most exciting or most fun activity for your child, but they are very important. Sight words are one of the major building blocks in a child’s ability to become a successful reader. There are many different levels of sight words. I use the Dolch scale – which begins at the Pre-Primer level, followed by Primer, and so on. Did you know? 50% of all reading texts are made up of the same 100 words! The most used along with the most repeated words in the English language are known as sight words. Easy. The file to download the Pre-Primer Flashcards is completely free, and found below. What makes these different from “normal” flashcards, is that they were created to fit on 4×6 photo paper. More specifically to be printed at your local photo copy and print center (like Wal-mart)! Making them 4×6 flashcards, makes it SO MUCH EASIER. Seriously! Save the images to a USB and take them to your local store (Like: Wal-Mart, Rite Aid, CVS, Walgreens, etc) and print them yourself! I actually have a lot of other completely free 4×6 flashcards, that are all set and ready to be printed as well! Here are just a few of the options. To see them all head over to my Flashcard / Activity Card page! How I store my Flashcards? One of my favorite features of the 4×6 flashcards, is that I have all of them in one beautifully organized case. I have this one. 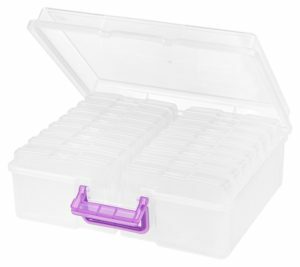 It holds 16 different sets of flashcards, and up to 100 cards in each case! It is great.